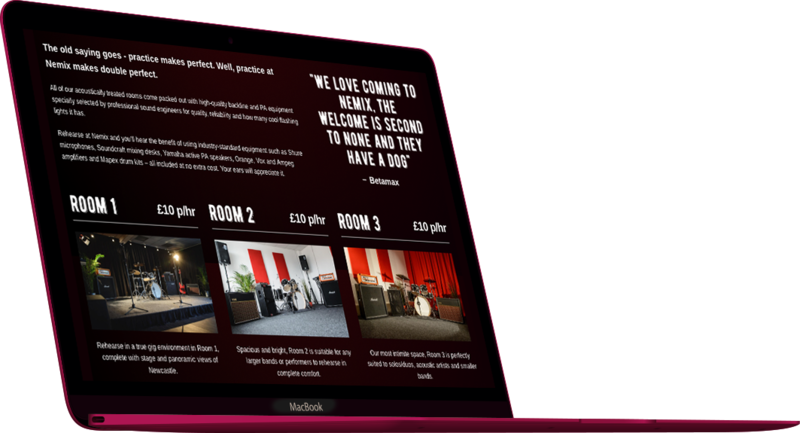 We wrote fresh, friendly content that connected with the right audience – removing any pretension or jargon a young musician might find off-putting and using humour to establish the correct relationship from the outset. 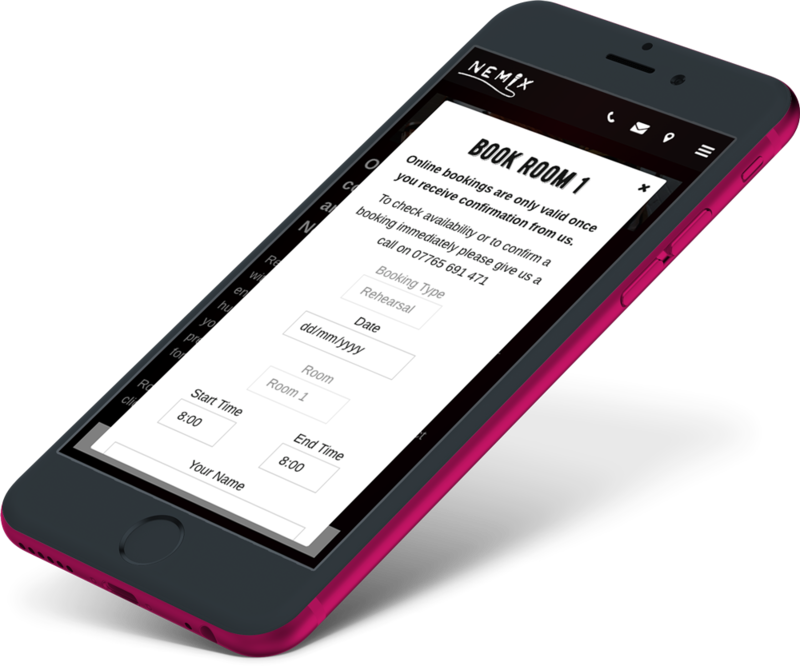 A unique homepage layout immediately showcases the quality of the three spaces on offer with great photography and highlighted features, as well as giving an overview of the business and an introduction to their other services. 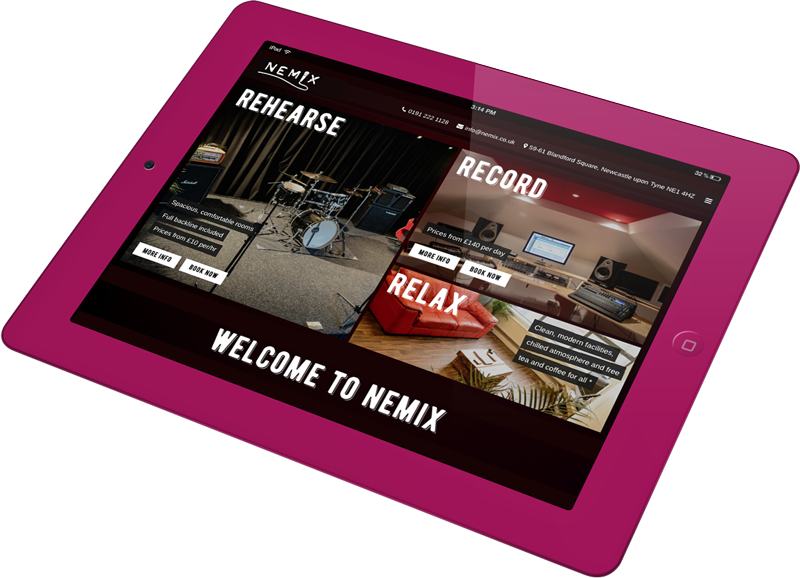 Since launching their website, Nemix have risen to number one on Google thanks to the smart structure and well-written content. Enquiries have also risen by 70% in the first twelve months.